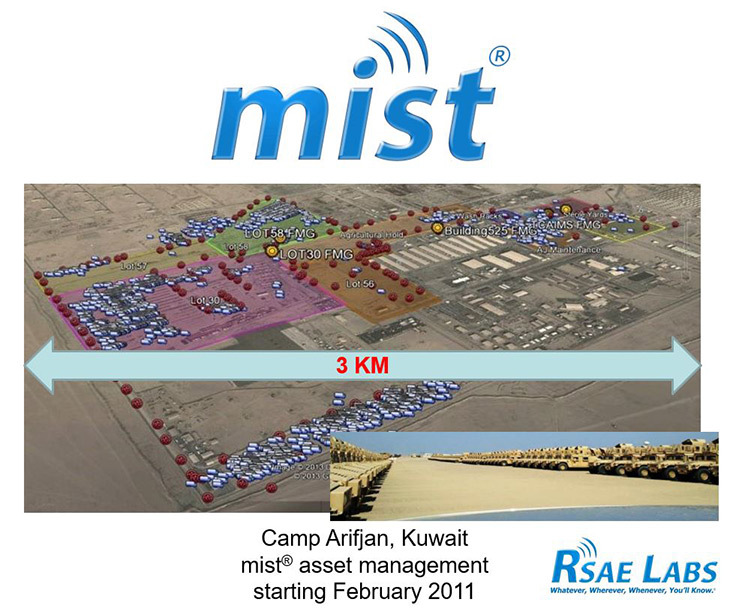 RSAE Labs provides you with on-going situational awareness by employing the power of our wireless mist® mesh network. 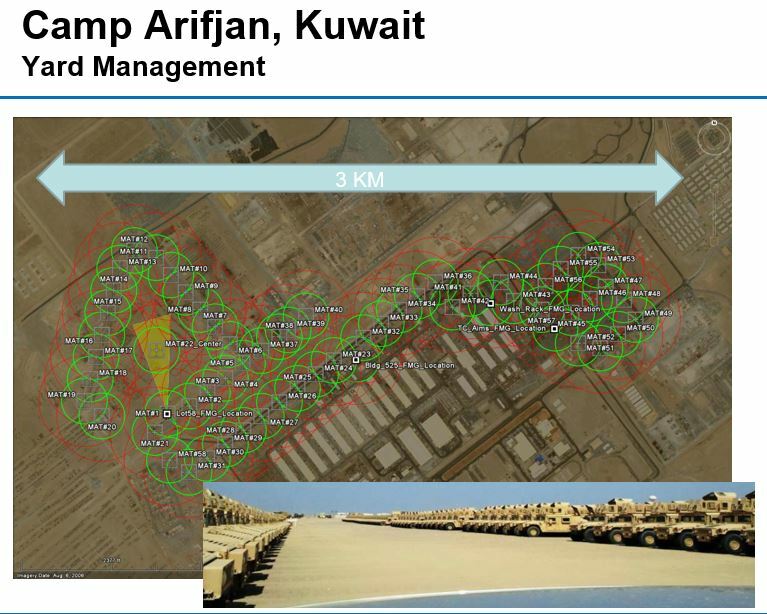 Now you can know the condition and location of your mobile assets. 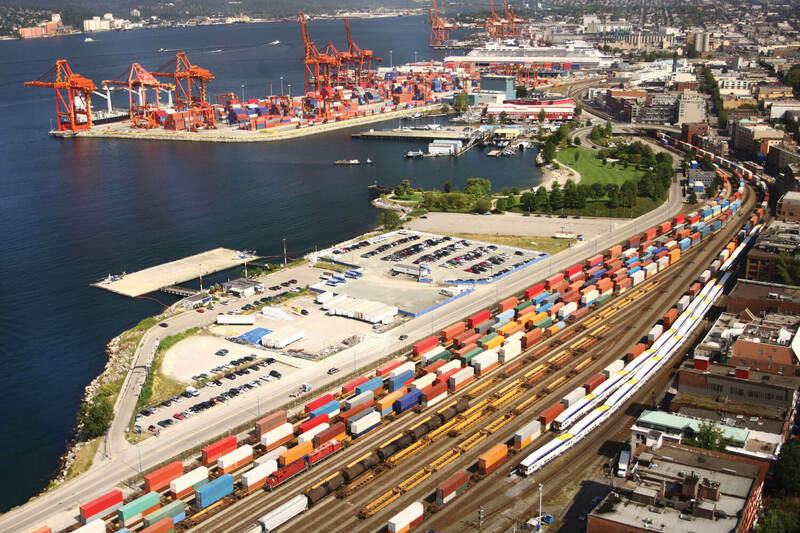 We know that effective management and oversight of yard operations requires timely, accurate information on status and environmental / handling conditions. We understand that maintaining asset flow is critical to your operations. In your environment, efficient work scheduling and staff assignments require knowing where assets are located and the time required to complete a task. RSAE Labs Yard Management Solution answers all those needs. RSAE Labs’ YMS is a more robust, accurate and timely solution than alternative methods of yard management, such as, location-recording with labor intensive activities (i.e., “walking the rows” with readers or clipboards; or active or passive RFID readers at choke points). These methods give management an “as was” status, not the “as is” situational awareness provided by our YMS. Moreover, RSAE Labs’ YMS can be employed in yards consisting of hundreds of acres in varied geometric layouts. 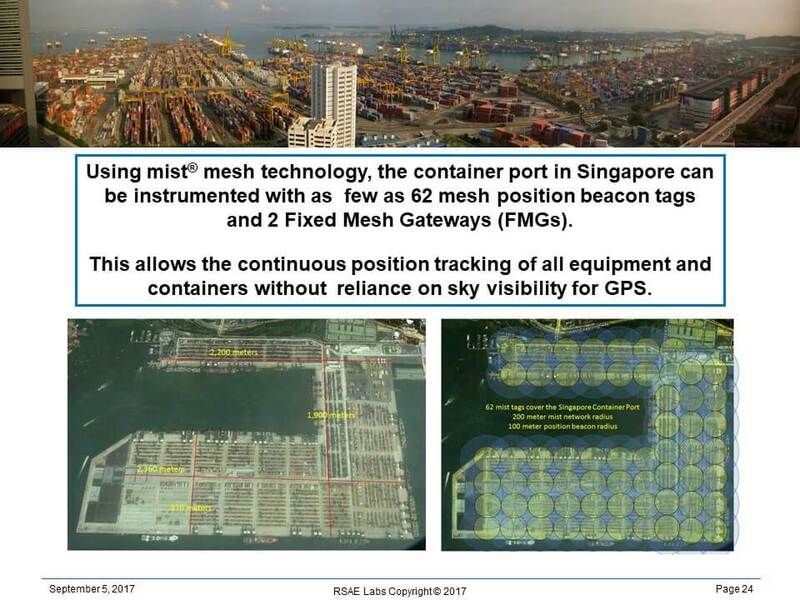 Our YMS solution employs a unique yard management device called the mist® Mesh Asset Tag (MAT), which becomes part of a wireless mist® mesh network. The MAT devices within your yard communicate to each other, creating a continuous flow of information from device to device, and ultimately through a mesh network gateway that passes data to management. 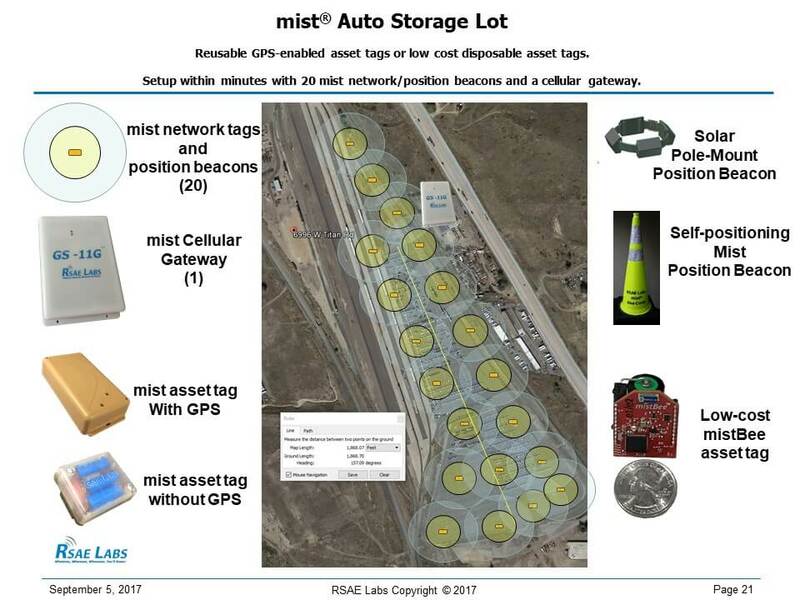 This mist® mesh network scales to 10,000+ tags and hundreds of hops, autonomously. It also has dynamic ad hoc self-forming and self-healing properties. Information can flow around broken or blocked paths and create new paths. 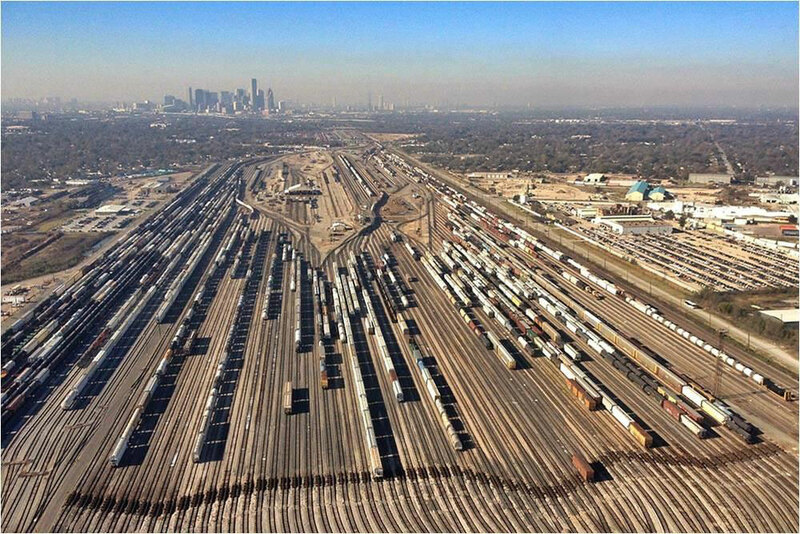 Therefore, when MAT-tagged assets enter or exit the yard, or are relocated within the yard, the addition, deletion or location change is accurately and quickly reported. We realize that managing costs is important to your operation. To ensure lower life-cycle cost for your yard management, we designed our MAT devices with low power consumption, meaning battery life is measured in years. 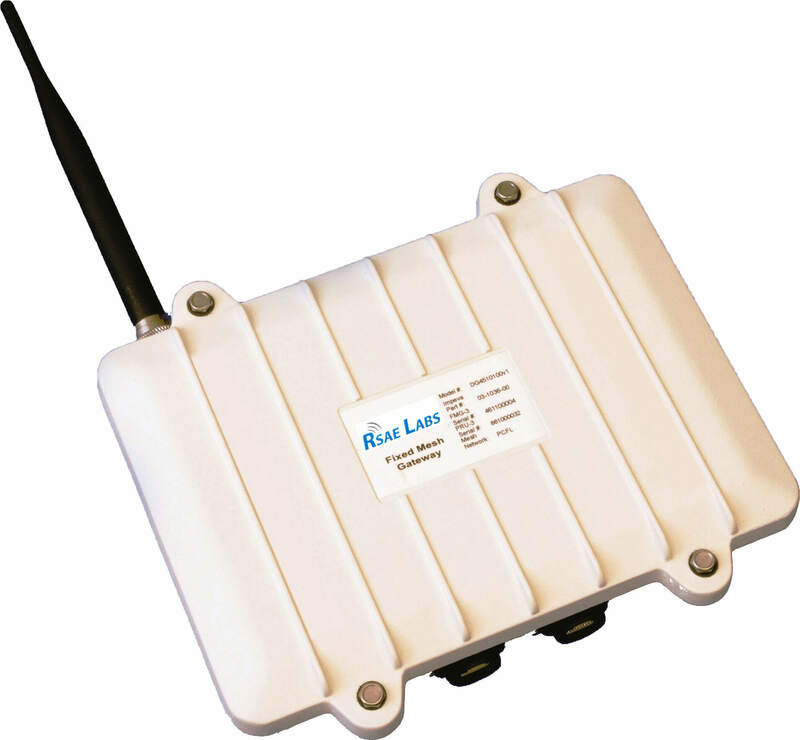 Further considering costs, the RSAE Labs’ Yard Management Solution requires only a single piece of infrastructure, a Fixed Mesh Gateway (FMG). This single gateway can serve over 10,000 MAT devices and only needs an internet network connection. It can be located anywhere a network connection is available, rather than only at a gate, which portal type RFID systems require. 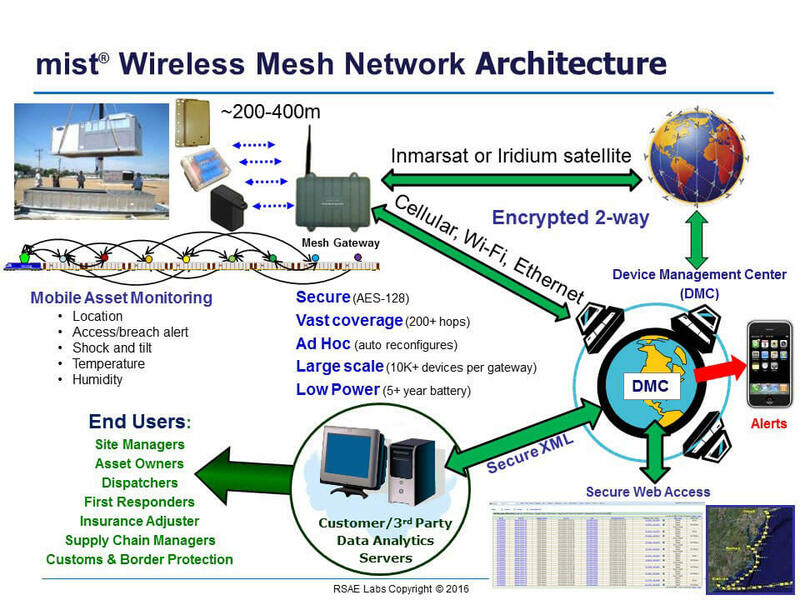 Our mist® mesh network encrypts and securely communicates your data to the Device Management Center (DMC), where we authenticate it, decrypt it, process it, and provide the display of your asset location and environmental data. For U.S. Department of Defense (DoD) users, asset information can pass to the DoD Global Exchange (GEX) data gateway, from which data is parsed to multiple end-use information systems. Event alerts and customized reports are made available to authorized customers via secure web applications, API, XML data feed, SMS text message and e-mail. By providing reliable, continuous reporting on all asset locations and movements, RSAE Labs’ YMS provides near actual time information on the total asset lay-down to you in your office or operations center. 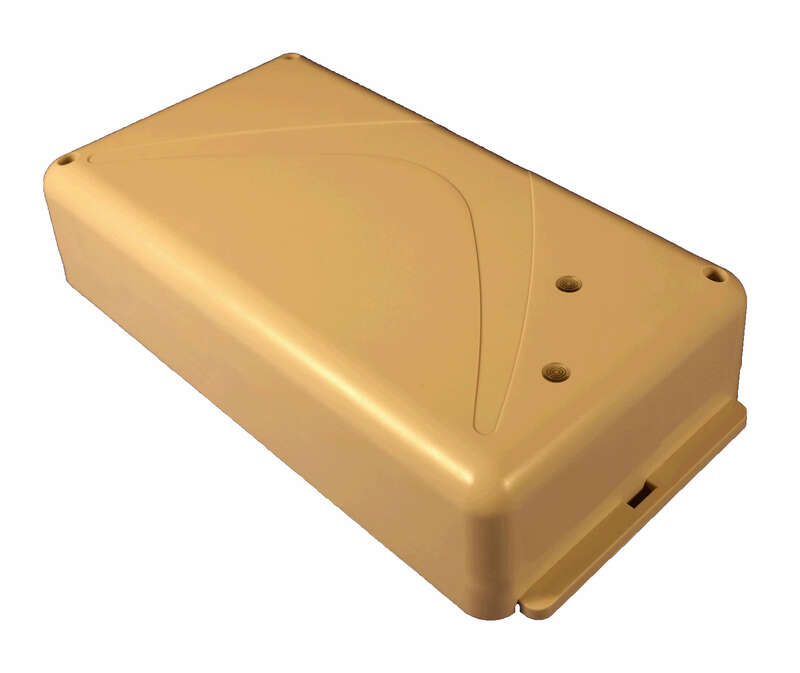 Not only is our YMS more effective for operations, it is also less expensive than the cost of labor, capital and operations for legacy RFID or manual solutions, resulting in increased efficiency and decreased costs for your organization.